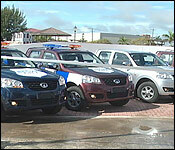 The Belize City Council is in possession of a sizeable fleet of new vehicles. 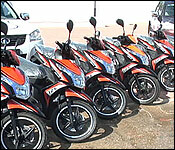 Through hire purchase, the City has acquired 24 motor vehicles which include 12 pickups and 12 motorcycles. 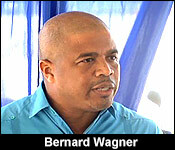 And, the Bernard Wagner Administration is boasted that they're doing this with minimal support from Central government. 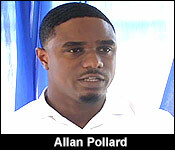 They got the motor-vehicles from Caribbean motors which is to be paid over a period of 5 years on an interest rate of 12%. Here is how they celebrated the new acquisition this morning, which will be used mainly by the Traffic arm of the City Council. "Managing over 20,000 commuters was an extremely difficult task with the limited vehicles at the council's disposal. While this is a problem we inherited, it shouldn't be one that we are stuck with. The implementation of 12 new vehicles and 12 new motorcycles will aid us in our mission and our commitment to better serve our city and its residents." "These vehicles will be utilized by our traffic department, special constable unit, works department, our cemetery and sanitation units as well as our public health and PR departments. Our city's growth is happening by accident. It's happening because Belize City is an attractive place to live and because this council has a vision to make our community a safe place to live. Our new fleet will be tasked to usher in order and compliance to law y all our residents on our city streets and roads." The mayor says they will be making a monthly payment of $10 thousand, a price he says is not going put too much of a burden on the public budget of the City Council. The Belize City Council hosted a short ceremony to supply the Council's Departments with twenty-four departmental vehicles; comprising of twelve pickups & twelve motorcycles. In keeping with our manifesto promise, we are placing sixty employees in the field, ensuring the safety of the public and enhancing productivity of the Council.